Some to-do lists work better than others! 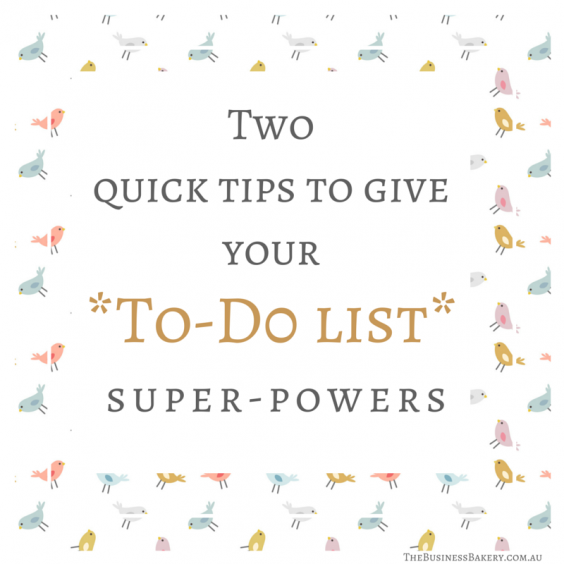 Here are two easy ways to give YOUR to-do list super-power! Here are two little changes which I have made to my to-do list and they’ve made such a difference, I thought you might like to try them TOO! 1. Write your business goal at the top of your to-do list! This is a super-simple way of making sure you do work that works! Simply write down your business goal (not got a goal? See little note at the end!) at the top of your to-do list, like a heading. Then, when you’re writing your to-dos, prioritise them so that you do the ones that will get you closer to the goal first. Isn’t this just the simplest thing to do?! You won’t believe how well it works! Not only does it get you doing the RIGHT work, the act of writing your goal down reinforces it as important in your mind which gets your subconscious working on it TOO! A good thing! Hurrah! If you’re running your business around family or a part-time job, try having TWO to-do lists! On one list put your big, important, hard stuff and on the other the little, easy, quick stuff. When you have nice, quiet, solid blocks of time, get going with items on your big-important-hard list. When you’re trying to squeeze a few jobs in while the baby cat naps, or when you’re a bit tired after a day at the other job pick stuff from your little-easy-quick list. Simple YES? But it really works! Saves you feeling bad about working on the little stuff when you’re doing the squeeze/tired thing and it kinda forces you to do the big-important-hard when you’ve got the solid useful time! Not got a business goal? Try this! I have a ‘100 day goal’. Maybe you do too? If not you maybe you’d like to try it! 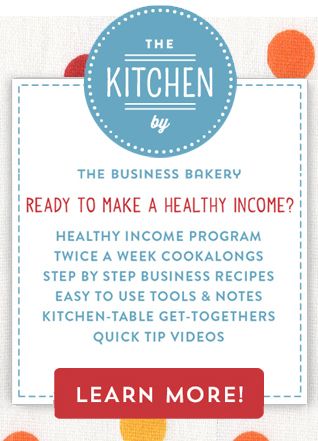 A 100 day goal is something business-y you want to achieve in the next 100 days. 100 day goals are good because it’s a long enough time to get stuff done without it being so long that you don’t feel the urgency to get started! The best ‘100 day goals’ are output goals. An output goal is a RESULT. So if you’re a dressmaker your 100 day goal maybe to sell 100 dresses. The other type of goal is an input goal. So this is the stuff you are going to do to ACHIEVE your output goal. So for the dressmaker an input goal may be showcasing at five markets. It’s better to use an output goal for your to-do list because your to-do list IS the inputs! YES?! It kinda makes sense when you think about it! The planning fallacy: what it is, why it hurts and how you can beat it! Ta-da! A super- easy, time-saving way, to keep track of your receipts! The secret to getting that impossibly daunting project done! 22 super- practical things I’ve learned about goals!